OTTE Architecture views each project as an opportunity to build a successful partnership with their clients, striving to provide them with creative designs and an ability to deliver on their needs. That is certainly the case with this New York City Residence, which features a stunning cluster of Niche pendants. We couldn't be more pleased with the result. In the bathroom, a trio of Trove pendants in Opaline glass hangs above the tub, enhancing the relaxing atmosphere. 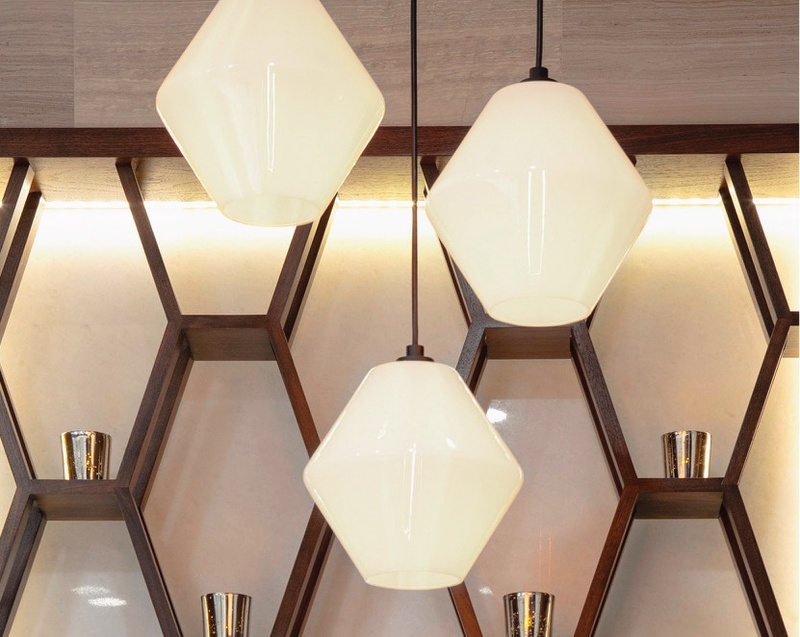 Unique to the Crystalline Series, the Trove glass light features defined angles. This pendant is the perfect fit for this space, as it complements the custom hexagonal wall fixture adjacent to the bathtub, as well as the hexagonal tile featured near the vanity. The Opaline glass color brings softness to the room and balances the distressed ceramic. Even powder rooms need some pizazz! Whether you hang a single fixture over your sink or a cluster of custom pendants over your bathtub, Niche products will beautifully brighten your bathroom every time. 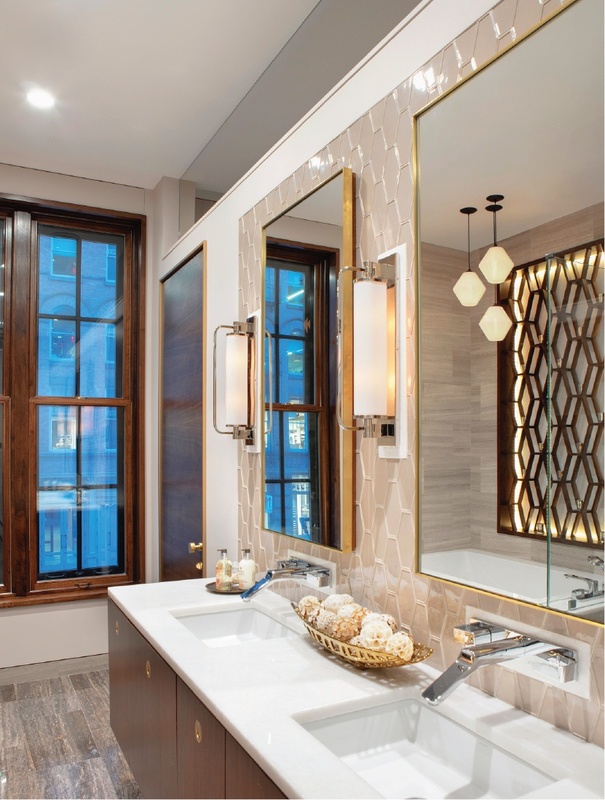 For more bathroom lighting inspiration, you can view some our favorite projects that incorporate hand-blown Niche pendants.